While at this stage we work mostly on establishing a good attachment, there are lots of ways we can support the infant's need to participate in their daily care of self activities. These are most relevant for the infant once they can sit, perhaps from around six months, and can continue into toddlerhood as their scope for independence increases. Some of these come naturally to me now, I will always give the infant their own spoon, while others I need the occasional reminder! Why do we want to foster independence at such a young age? Show them what they can do, that they are capable! Boosts self-image, the child over time see themselves as an active collaborator, not a passive bystander. It's easier! As a parent, it's easier to have a child who can self-feed at least a little. It sets up the mindset, the home environment, and will lead to a more capable and independent toddler and preschooler. It leads to a more contented and happy baby, the infant is more satisfied and is having their developmental needs met. Feeding. If spoon feeding give the infant a (weaning) spoon too. They might not get much in their mouths but this is a start. Always offer some food the infant can feed themselves such as finger foods. Offer the infant a cloth napkin for wiping their mouths after feeding, give them a small sponge or cleaning cloth for wiping the table. Consider using a bib that the infant can put on and take off themselves. At eight months my son can't put on his bib but he can take it off when he is finished, we currently use a bib with an elastic neckline. Offer a weaning glass and show the infant how to use it. If you use a weaning glass from six months or even later, it will only take a month or so for the infant to work out how to use it. Dressing. Ask for the infant's participation in dressing, an infant can begin to lift their arms when taking a top off or push their arms and legs through the arm/leg holes in clothing, this is the start of self-dressing. We also want to provide clothing that is loose and easy to get on and off (particularly important heading into toddlerhood) and is comfortable. Washing/Bathing. If using a sponge or wash-cloth, give the child the chance to use it first or give them another wash cloth to use at the same time. Nose wiping. Give them a tissue to wipe first. Always let the infant know what is going to happen, even at eight months do the nose wiping in front of a mirror, the child will begin to make the connection and later will feel the need to wipe their nose. Teeth Brushing. Allow the infant to try to brush their teeth first or at the least allow them to explore the toothbrush before you use it, again this can be done in front of a mirror so the infant has a better idea of what is happening to them. At eight months Otto (pictured above) has six teeth, many infants at this age have less teeth or you might just be using a soft cloth to wash them. Once we start thinking about the small things the infant can do, it makes the transition to toddlerhood easier. The child is already on the path to independence and is building lots of useful skills. Many of these activities can start even later, even at twelve or eighteen months, it's not too late to have the child being more active in their care of self activities. If I have forgotton any care of self activities that the infant can participate in please list them below, I'm sure I will find the suggestions helpful! Ever since I can remember I have loved indoor plants. It's easier and more affordable to propagate plants and sometimes to share cuttings rather than buy plants new. By propagating plants I've also developed a love for growing plants in water. After having children I've discovered how well they work in children's spaces, not only their learning space but throughout the house! Add a 'living' element to the child's space without the hassle of a typical indoor plant. Will show children what roots look like, not through a lesson or presentation but through the child simply observing them every day. Are interesting and wonderful to observe. Look a little cleaner and more modern, and they are often more spectacular than potted plants! They are good for areas where you don't want soil like the bedroom. Don't need as much maintenance as regular pot plants, they don't need to be watered as often. All of these roots (above) have grown from cuttings in water. I put the cuttings in a vase full of water on a high shelf and practically left them for a month. Philodendrons (the plant below is the Philodendron 'Red Emerald). Plants from the kitchen, lots of things like basil cuttings will take root, spring onion off-cuts will regrow, and avocado seed can grow in water. I currently have a string of hearts growing in water from a cutting, the roots are growing slowly and the plant looks healthy. Leaf Supply: A Guide to Keeping Happy Houseplants tells me that Devil's Ivy (Epipremnum aureum), Swiss Cheese Plant (Monstera deliciosa), and Begonias will grow from cuttings in water. Houseplant Journal also tells me that the Pilea peperomioides can grow and propagate in water, I might give it a try! If you have a broken stem or leaf why not pop it in a jar of water and see if it grows. You can force a bulb like a hyacinth in water, this is a lovely way to observe a plant growing roots. Etsy - has some lovely jars but often at a premium price. Supermarket - look for nice, large or different shaped jars (with food in them think pickles or pasta jars). Garden and Lifestyle stores - I love the glass vessels at Garden Trading. Most of our plants have done well in low light, the plants don't need to grow in a glass vessel, an opaque vase or container will work too. The plants don't need frequent watering, they need a top up but ours have lasted a long time (weeks) without refilling. I've only ever used tap water and I haven't added fertilizer. Most of my plants in water have grown really well and are healthy. I rarely get a yellow leaf but when it happens I remove it as soon as possible. In the UK I regularly buy indoor plants including our Pilea peperomioides from Crocus. Last week a reader, Rochelle asked if we made our dried oranges for our sensory basket. I bought the dried orange and lime as part of a natural discovery resource set. However, I really feel this should be easy enough to do at home, so we gave it ago. You can see our store bought dried lemon and lime in the top left picture here. I bought a whole range of oranges, limes and lemons. With a sharp knife, I made eight cuts down the side of the fruit leaving half an inch or so from the top and from the bottom, to keep the fruit together. I needed to cut through all the white part of the fruit's skin so the fruit can dry out completely. Then following a few loose online tutorials I put them on a tray and into our oven on the lowest heat which was 80°c. Overnight I turned the oven off but left the fruit inside. Above is the fruit after around 36 hours in the oven. The tutorials I had read suggested leaving them in the oven for 24 hours but mine definitely were not dried by then. I tried another tray of fruit in the oven at a slightly higher temperature of 120°c but it quickly cooked the fruit and they all went really dark in color. So I believe the lower the temperature the better. I found it important to rotate the tray so the fruit dried evenly. Some of the fruit rolled onto its side but while checking the fruit I was able to stand it upright and kind of squish it into position. The lemons and lime also got a little sticky from the juice coming out of the fruit and onto the baking tray. You want to check on them often as the lemons and limes will dry out quicker than the oranges. Ours aren't as perfect as the store bought ones but they work just as well. They smell wonderful and I love the way they look too, really rustic. Mine are a little darker than the store bought ones (and the lemons might continue to brown) but some stores add preservatives to theirs. As I made so many I've placed them in the kitchen and now the kitchen smells good too. I think they are perfect for a natural discovery or sensory basket. Above is a DIY sensory basket with some coconut shell (it still smells like coconut), cinnamon sticks and a dried orange. All of these look feel and smell really deep, earthy, and natural! Creating a Culture of Handwork in a Montessori Environment at Montessori Handwork. I love these suggestions that would work at home as well as in a school environment: use small moments, use handwork to build community and educate your parent community! Four Year Old Montessori Style Room at Kukumag. I am having trouble translating this, it's in Polish but the pictures are AMAZING, don't miss it, there is so much detail in this room! 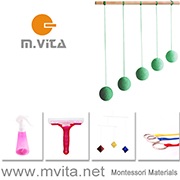 Wondering what Montessori is? at the Montessori Notebook - this is a lovely video by Simone and is perfect for sharing with friends and family especially if you have your children in a Montessori school and you want to share with them how Montessori is different and how it works. Microscope Jars for preschool science centres at No Time for Flashcards. Fantastic idea, my children would love this. This weaning table at mamamonia - using the Ikea LATT kids table with shortened legs. When Otis was a toddler I used a hand saw all the time, I shortened not only his weaning table but chair legs and even the legs on his easel, it's an affordable way to make children's furniture better suit a toddler and you can make it the exact size/height you want. 6. is a picture of our dining table, Otis is going through another minibeast interest (mainly minibeasts and their habitats) and is making a lovely mess with these woodland and minibeast stencils, he is using them with paint and a sponge and brush. Exploring the nature basket - includes dried orange and lime, large shell, various large gumnuts and seedpods. Enjoying finger play and nursery rhymes - he is trying to do the incy wincy spider with his fingers. Loving the Object permanence box (c/o Montessori Shop). Starting to use the Pincer Grasp Block. Starting to pull up on the walker wagon, he has taken one step but for now, he mostly pulls up on it. Also pulling up on the Pikler Arch (c/o Wiwiurka). At eight months Otto can crawl, pull to standing and climb one stair. Otto is much more into movement than Otis was at the same age. We also use food and self-feeding to help develop fine motor skills and the pincer grasp. You can see the Montessori materials and traditional toys that Otis used at Eight Months by Otis here. Ten of the best Science Instagram accounts to follow for parents. If you are a bit of a science buff or if you just want to surprise your kids with some weird and wonderful facts, here are ten of the best science Instagram accounts to follow! 1. National Geographic! As you would expect the imagery is amazing, wonderful to share with your children. I also follow National Geographic UK. 2. The CSIRO Australia. For science and research related posts. 3. NASA. For images of space and details about space exploration. Also, have a look at the NASA Hubble Space Telescope and NASA Climate Change. 4. American Museum of Natural History. The Natural History Museum in London is good to follow too! 5. WWF UK. I also follow the WWF Global. The animals and scenery are gorgeous. 6. Kew Royal Botanical Gardens. Lots of lovely detailed plant photographs and interesting facts! 7. Mars Curiosity for updates from the Curiosity Rover on Mars. 8. The Cloud Appreciation Society - to touch up your knowledge about clouds! 9. U.S. Geological Survey (USGS) to look at images of volcanoes erupting and so much more. 10. International Space Station (ISS) for absolutely amazing images from space. If you are reading this in a blog reader or via email you may need to click here to see all of the images. I hope you've enjoyed these. I would love to hear about your favourite science Instagram accounts, who do you follow? Over the years both Caspar (10 years) and Otis (7 years) have been asked to work on their handwriting, to make it neater, to make it conform. When Otis moved from Cycle One to Cycle Two his teacher was concerned about the time he took to write, he was and still is, a very slow writer. It's not that he doesn't have the words, it just takes him longer to get the words onto paper. This unease about the children's writing (by their teachers) has in some way made my children reluctant to write, they will write they just don't like it very much, they are not at all proud of their handwriting and don't like to show it to anyone. Caspar is left handed and this is so often used by teachers as an excuse or reason for untidy handwriting - which I've never understood. When I found this suggestion, I totally loved it! "In my Montessori elementary training we learned several ways to help children improve their writing. Margaret Stephenson told us that if a child is writing in a messy way we could introduce a new alphabet (maybe italic if he has been writing in cursive, or the reverse, or cursive if he has been writing in print); we could give him special ink with different nib widths (sometimes we made these pens from feathers we found) and different colored inks. Give him a short piece of poetry written in beautiful handwriting to copy. This is 'teaching by teaching, not by correcting'. It is adjusting the challenge of beautiful handwriting to the needs of the child. It gives work that inspires work and concentration." Susan Mayclin Stephenson in Montessori and Mindfulness. Both of my children have learned to write in cursive. Otis still doesn't link his letters, it's not a concern for me but his teachers (including his Montessori teachers) have given us ideas on ways we can work on it (if we want to) at home. In their British school, the children are also taught cursive. If you have Montessori and Mindfulness, look at the image on page 76, Caspar has in the past written something very similar. So we've followed these suggestions with great success, the author of Montessori and Mindfulness includes a few more suggestions also worth trying. My aim was simple, I wanted them to enjoy writing and to be proud of their work. Caspar also has a love of history so perhaps this new suggestion with feather pens is particularly relevant to him, I wish we had tried it sooner. For the first time in his life, Caspar is enjoying writing! Notes to a Montessori parent - give the child a choice! As I was writing about the weaning table yesterday, I was reminded how important choice is even for the youngest child. My youngest is eight months old and my eldest is ten years old and choice is so important for both of them. We want our children to be active learners not, passive observers. How do we achieve this? We involve them in all facets of everyday living, we give them freedom within limits, we offer them as much choice as possible. For an infant, this could include freedom of movement, a choice to crawl, sit or lie down. We listen and follow their lead, they choose how much and when to eat, sleep and play. They can choose what toys they want to play with and when. A Montessori home supports this with features such a low bed, low open shelves and parents who observe and provide choice when the opportunity arises. Toddlerhood presents many challenges but again providing freedom within limits and choice can empower the child and help satisfy their need for independence. For toddlers dressing, food and play/work choices are obvious options but we also need to observe them and allow the child this freedom as much as possible. As parents the more we offer the child a choice the more naturally it comes, eventually, it becomes automatic and woven into daily life. Builds the child's confidence, gives them confidence in future decision making. Allows the child to feel satisfaction and pride. The child is going to feel a greater sense of satisfaction in knowing that they made the choice or the decision independently. Allows the child to experience a sense of ownership over the decision/activity/consequence. Allows for greater opportunities to learn through natural consequences. If the child makes a poor decision often they will learn or gain experience from the process. This can be much more valuable than being told what to do by an adult and never feeling the consequences of their decision. Boosts self-image. The child begins to see themselves as a capable decision maker. Demonstrates trust in the child and later the child becomes to trust themselves, they begin to understand they can make a decision rather than relying on an adult or others to make the decision for them. Provides practical skills in decision making. The child learns in a practical way to weigh up options and consider risk. Promotes independence and independent thought. A child who is familiar with making a decision in the presence of an adult is more likely to make a decision in the absence of an adult. The child becomes less reliant on the adult for instruction or prompts. Demonstrates respect for the child's natural and developmental needs. Gives the child control over their body. Children often have little control over their lives, providing choice when possible is important. Can allow the child to become more in-tune with their body, they can feel how much energy they have, when they are hungry, tired or cold and act on it. Can increase engagement and participation. If the child freely chooses an activity that is relevant and of interest to them, it's likely that the engagement will be greater than an activity chosen by a teacher, parent or other adult. Can assist the child in furthering an interest or skill that the adult isn't aware of or hasn't considered/allowed for. Respects the child's ability to make a choice. Children are very capable, if they are capable of making a choice why not offer it to them. We would we make a choice for the child when they can do it themselves? Encourages strong and respectful relationships. Parents and teachers are not servants or dictators. If the child is involved and surrounded by respectful relationships they are more likely to establish respectful relationships themselves into the future. Respectful relationships can be adult/child but also child/child. If the child feels respected and that they are listened to, they are more likely to respect and listen to others. Promotes creativity. If a child is continuously following instruction they cease to think for themselves. If the child is continuously offered choice they are seeking out ideas, different ways of doing things, they are learning to think for themselves and this allows for creative thought and greater possibilities. Can lead to the child feeling fulfilled and at peace. When the child's developmental needs are met the child often feels fulfilled and content. May reduce conflict. When a child feels they have been heard and listened to they are less likely to engage in conflict or act in aggression. Demonstrates that we value the child and value their thoughts and opinions. Choice is essential in the Montessori classroom. In a practical sense, the child can choose their own work, their own work environment (inside, outside, work on the floor or on a chair) all within limits. We present appropriate choices to the child always within a safe and nurturing environment. My eldest is now ten years old and the same principles apply, we give him as much choice as possible. We include him in decisions that involve him. For example, when choosing a new school we present him with the schools that we, as parents find suitable, just like the toddler choosing between two sets of weather appropriate clothing. As the child gets older it can get more difficult to navigate when and how to provide choice, especially when the consequences are greater, but we work it out as the opportunities arise. As always, we are the child's guide! Notes to a Montessori Parent - Teaching Natural Consequences. We have moved around Otto's weaning table and chair a lot. It was in his our dining area and now it's in a corner space in our kitchen. Otto is now messier with his eating and as he can sit unaided, we've decided it's best that he eats (mostly) in the kitchen. I always just keep on moving things around until I find a way that works! We have also found a lovely rhythm. In the mornings after we have dropped his brothers at school, we go into the kitchen where I will empty the dishwasher or put on washing and Otto will go straight to his table for snack. If we are rushed or if he is having something super quick he might (as above) eat on his rainbow rug. Then he will have a nap! Dinner is always at the dining table in his high chair with the rest of the family. Otto is having a quick snack of banana. I know a lot of Montessori families use baby-led weaning. The Montessori approach is child led and encourages the use of lots of real finger foods too, but also the provision of infant sized cutlery, a weaning table and appropriately textured meals such as puree, to lumpy foods. "During the weaning we should always remember to offer food that the child can take by himself, such as little pieces of bread, banana or vegetable, Of course, the child can also be given a fork and shown how to use it. Do not intervene if he uses his hands to help. The child watches cafefully how we do things and, if we eat well, as soon as he is able to manage it, the child will be willing to copy us." - Silvana Quattrocchi Montanaro in Understanding the Human Being. Rugs can be problematic in children's spaces, they provide a comfortable place to sit but they can also be a tripping hazard for learner walkers. We desperately needed a warm and soft place for Otto to sit, or play in the kitchen so we will see how this works out, so far so good but he's not walking yet. Otis is currently using this apron and dustpan but they are there ready for when Otto is old enough. On Otto's shelves, there is a bowl, weaning cup, pitcher, napkins, sponge, cutlery and other cleaning cloths. Montessori placements are stored on the bottom shelf (his bib is on his high chair). It's hard to tell but these shelves are toddler height. As soon as Otto is walking with confidence he will be able to put his placemat onto his table and take a napkin and cutlery from this shelf. The weaning table has been perfect for us. At eight months Otto can sit in it securely. He can't get in or out of it by himself yet but he uses the table and chair to pull to standing. He tries to climb into the chair but doesn't have it yet, he can crawl to it which is a sign that he is ready to eat. His feet don't touch the ground but he will push the table away once he has finished eating. I'm thinking of ordering another set for upstairs in his room, I really believe it's the best table and chair set up for this age group. You know I also read a little about the RIE (Resources for Infant Educators) approach and Magda Gerber supported the use of the weaning table and chair once the child is able to get in and out independently. "By using a child-size table and chair you adjust to your child's level, which makes her feel more comfortable. Picking her up and fastening her into a restraining device may underscore her helplessness. The table and chair encourage competence by letting her walk to the table herself. She chooses whether to sit and eat and decides when she wants to get up and leave. She also knows that it is her special eating place." Magda Gerber in Your Self-Confident Baby. Oh my goodness, look at Otto, he's growing so fast! I really want to share with you our weather station, using child-sized real tools. I've spent some time researching 'Montessori' or 'child weather station', or 'Montessori weather unit' and most of the results have been either three-part card work or felt/card weather stations. The lovely felt or card weather stations might be fine for toddlers but a child from four or five can read a large children's thermometer, why not offer it to them. One of our previous Montessori schools had a large child's thermometer outside the children's house door (3-6 years), many of the children would, with interest, check the temperature as they arrived at school in the mornings. It sparked a lot of discussion. For a child who shows a deeper interest, why not record the temperature or perhaps check the wind direction, or measure how much it has rained? We had a print out weather recording sheet but Otis preferred to record the results on our outdoors chalkboard. I would love to add a cloud chart but haven't found the perfect one. If you were somewhere like Brisbane, it would be interesting to measure humidity too. Our weather station is child-led, we've researched with Otis what tools he could use but when and what he measures, and how he records it is entirely up to him. Although, I hope he gets to a stage where he might be interested in graphing the results! He hasn't learnt about graphs and I think this may be a really good introduction. He also dates and put his name on the recordings. What I love most about this type of work is that it allows the child to make their own discoveries. I have used worksheets before to teach Otis about how to use a compass, but out in the field/backyard he's learning in a more hand-on way. There is a whole lot of science, mathematics and language attached to this very simple (but also complex) work. Montessori and Mindfulness - essential reading for Montessori parents and teachers. Montessori and mindfulness go hand in hand. If you are practicing Montessori in the home or at school, it's likely that you are practicing mindfulness. I haven't read many (adult) books since having Otto last September. I actually missed the release of this book but I'm so pleased that I finally ordered and read it. This is my kind of Montessori book, it's authentic and true to the child. One of the obvious reasons that I enjoyed it is because it touches on the essence of Montessori, the connection between the child and their environment, the environment that supports and promotes deep concentration and mindfulness. Everything that the author mentions in this book about the Montessori classroom can be translated, can be practiced in the home. So Montessori and Mindfulness is a good read for Montessori parents AND teachers of children of all ages, from birth. There are lots of examples of work with infants that I found super interesting (respect the infant's eye contact, allow them to be the one to end the visual communication). Respect and protect the three-hour work cycle. The careful selection of materials. The author promotes the strict use of Montessori materials for the classroom without surplus or 'supplementary' materials. I believe just as much care, with required observation for the selection of materials, can be made at home. I love the section on flow - "deep concentration on an activity not just because someone has told one to do it, but for its own sake, intrinsically motivated." This flow is a deep form of concentration where the child is absorbed by their work and is a form of mindfulness. It is believed the fundamental elements of Montessori such as children choosing their own work, being able to concentrate without interruption and working at their own pace all contribute to achieving flow. One of my takeaway lessons from this section is that children often wake or walk into the classroom already concentrating and ready to work (perhaps they have thought about their work overnight and can't wait to get started), it is important to not schedule activities for them in this time. I believe the same applies to the period when the child returns home from school, they are ready and excited to work on their projects and we must not unnecessarily break or interrupt their flow. Flow can be achieved when the activity is chosen by the child, involves the whole being and uses the child's skills to the utmost. The author provides practical ideas for supporting concentration in the classroom through personal anecdotes, although most of these will be known to Montessori teachers such as matching work to the child's skill levels, providing quiet spaces within the classroom and supporting order. There are sections on mindfulness through walking and through music. The section on mindful exploration is as relevant to infants as to elementary students. There isn't a lot of new information here but there is a lot of suggestion and evidence to why Montessori works, about how to optimize concentration within a classroom environment and it's a brilliant reminder to teachers and parents about respecting the work cycle and natural development. Parents new to Montessori will gain a deeper insight into the workings of a Montessori classroom but will also receive the words of wisdom from the author who has many years of teaching experience across many cultures. Through her written work the author has made a significant contribution to the education of Montessori parents across the globe. "Children have their own inner guide that tells them when to move, when to sit still. Our role is to discover what will inspire each child to act, to move in such as way that is in sync with his stage in development, and allow him to be guided by his own inner wisdom. This is Montessori mindful meditation." Montessori and Mindfulness is an adaption of the 2017 presentation at the AMI International Congress in Prague, Czech Republic by Susan Mayclin Stephenson, author of The Joyful Child: Montessori, Global Wisdom for Birth to Three and Child of the World: Montessori, Global Education for Age 3-12+. Apple Apron - perfect for at home or for apple activities at school. We know that beautiful environments and materials can inspire the child, make every day materials in your home (and school) beautiful. Modern apple prints always appeal to me. Sage Green Pitcher, Tub and, Bucket - I adore this colour! These are sold individually, however, look lovely together. Perfect for home or school, the tub in particular could be used for lots of practical life work or even messy arts. I'm going to keep my eyes open for a similar tub and pitcher for a toddler hand washing station. Seasons Mat - a new and stunning seasons mat including seasons labels, can be used with a sun to use for celebrations (such as birthdays) and a globe to demonstrate the effect of the Earth's tile on the Sun's rays on Earth. The illustrations depict plant an animal life in each season. Rock Cycle Mat - as I have a child who loves rocks and volcanos, I found this such a great example with lots of ideas on how to explore the rock cycle. Contains rock cycle mat and so much more; fact file cards, rock cycle arrows, rock identification materials, grammar labels and storage boxes. I also love the details in the new Water Cycle Mat. The Montessori Toddler - Simone's (from The Montessori Notebook) new book now available online. World Architecture - a new download, perhaps for a geography unit, perhaps for a little world traveler or perhaps as pictures for the wall. Includes 32 cards with labels of photographic images of iconic architecture from around the world. Animal Skeletons - another new download. This is well suited to the home environment, it's easy to make and it may not duplicate any work done at (Montessori) school. The set includes 14 animal and 14 skeleton cards (with or without labels). My children also love these "who am I" new Animal Stories which can be a lot of fun, after doing these activities at school they would often come home and write their own! I have just finished reading what might be my most favourite book for Montessori teachers and parents, I'll share more tomorrow. This is a pretty amazing list, although I don't think using cloth nappies is too difficult. Raising Kids in a Zero Waste Family at Mother. 8 Proven ways To Foster A Happy Sibling Relationship at Montessori Family. Fill In Your Classroom Transition Times with 10 Classical Music Activities including 10 classical music pieces that children will enjoy at the Magical Movement Company - Montessori Music and The Arts. 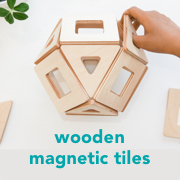 5 Must Have Ikea Products For Your Montessori Environment at Chronicles of a Momtessorian - also a new (to me) blog to follow, written by Anitra, a mom and Montessori trained teacher. THESE pictures are just gorgeous, just as the message is at Montessori in Estonia - Estonian Montessori Community (pictured above). A Montessori Approach to Helping Children who are Stealing or Lying at Forest Bluff School. How to use a mortar and pestle in your sensory play at Fairy Dust Teaching. Exploring the Essense of Montessori Parenting - Jasmine Chong at Nduoma. I absolutely adore this rainbow puzzle at Tatutatam, I think you can only order through the Facebook page, if anyone speaks Polish please let me know! If you have a child at or around the same age as mine (7 months) you might be tempted to use a baby walker. In some families, baby walkers and bouncers are essential baby items. So what is the issue? The child must be placed in the walker and cannot get in or out of it independently. This takes away the child's right to free movement and independence. Not developmentally appropriate, most often these are used before the child is ready to walk, forcing the child into an unnatural position and cause unnecessary pressure. So how about a Baby Walker Wagon (like pictured above)? The child decides when and how to use it. Provides a stable base for the child learning to walk. Can boost self-confidence, often children are hesitant to leave the safety of the couch while cruising, the walker provides a mobile base. Promotes free movement and natural development. "A walker wagon (wooden, not plastic) will provide an opportunity for the child to pull up and practice walking at will, but it will usually require the adult to turn the wagon around when the child reaches the end of the path, and push and pull toys are great fun for the new walker. None of these things rush the child, but they all help give the opportunity for practice at the perfect time." - From Michael Olaf The First Year - Crawling, Pulling Up, Standing. Solid, heavy base. You can weigh the walker down with weights or blocks but you want a nice solid base to begin with. The heavier the more stable the walker will be. Width. The wider the walker the more stable it will be. If you have a couple of walkers to choose from, try them yourself. Adjustable wheels or wheels with traction. One of the problems with some walkers is there is no traction and even on carpet they move too fast. Many walkers have wheels which can be tightened for the beginner then loosened once the child has improved skills. Wheels with traction are ideal. Resists tipping. Some walkers have stoppers other it's in the design, it's important that the walker doesn't tip easily. High base. A higher base will make it easier for a beginner to pull themselves up to reach the handle. Made from natural materials. It goes without saying natural materials like wood are best, they are often more solid or heavier which is an advantage here and they last longer. They feel nicer for the child and they are often more aesthetically pleasing too. Are simple, don't offer distracting and unnecessary features such as a busy board. What Baby Walker Wagons would I recommend or suggest looking at? Radio Flyer Classic Walker Wagon at Amazon (US). Toddler Push Wagon in Swedish Red at The Wooden Wagon (US) similar at Mercurius Australia (Australia). Toddler Push Wagon / Walker at The Wooden Wagon (US) similar at Mercurius Australia (Australia). Baby Walker with Pastel Wooden Blocks at JoJo Maman Bebe (UK). Push Wagon at Nova Natural Toys (US) and Honeybee Toys (Australia). HABA Walker Wagon at Amazon (US) and Babi Pur (UK). Push Cart at Community Playthings (US) (not pictured). Lots of uninterrupted free play on the floor. Less or no time in baby entertainment devices such as bouncers or jumpers. Use only unrestrictive clothing and bare feet if possible. Place large floor cushions/foot stalls/ottomans in or near the child's movement/play area. Place step stalls or heavy based child's chair, like a weaning chair, in the child's environment. Create an environment that supports freedom of movement including a weaning table and chair and floor bed, lots of opportunities for movement. A Montessori style pull-up bar. Try not to prop the child up or force them into walking, allow for natural development. Helping your baby learn how to walk at Nduoma - Laying the foundation for a good life. Montessori Philosophy and Practice, The First Year - Crawling, Pulling Up, Standing at Michael Olaf. I've been looking for some cute new tees for the boys. I love all of these but especially the first two for Otis. All of these have a Montessori, nature or a homeschooing theme. What's not to love? If you make or know of a cute Montessori tee supplier please feel free to comment or send me a link!